The Tabor College volleyball team will be led this season by seniors Audrey Schellenberg, Heather Whitham and Clancey Kelley. In senior Audrey Schellen?berg and junior Ashley Cohlmia, the Tabor College volleyball team has a pair of all-conference second-teamers returning as part of a group of eight who played on coach Amy Ratzlaff?s varsity squad a year ago. Schellenberg is the team?s most experienced player, and perhaps the most important. ?When you talk about dynamic setters, you should mention whether they?re in a 6-2 system,? Ratzlaff said. ?In a 6-2 like the one we play, the setters get half the usual number of rotations. So for Audrey to set up seven assists per game is remarkable. ?She?s been on two championship teams and is bringing a lot of leadership from her experience with that,? Ratzlaff said. The group of eight includes 2007 ?Freshman of the Year? Jordan Crosson, opposite-side hitter Carly Kroeker, outside hitter and defensive specialist Audra Atwell and setter Beth Romero. To anchor a large influx of recruits, Tabor coach Mike Gottsch begins his second year as coach with a solid core of seniors. 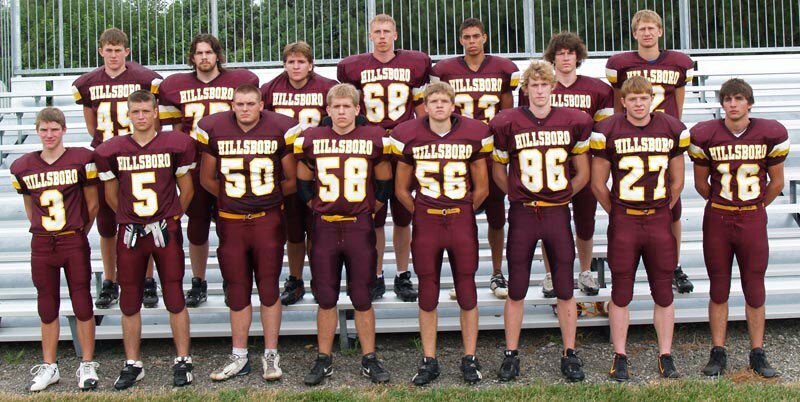 Pictured are: back row (from left), Darrin Fisher, Joe Wuest, Drew Looper, Zach Helgesen, Jacob Sivells, Cody Duff, Marcus Manny; front row, Sean Retting, Phillip Robben, Phillip Garcia, Kevin Carroll, Kyle Basinger, Seth Mills, Tex Rogers, Mario Nava, Demetrious Cox. 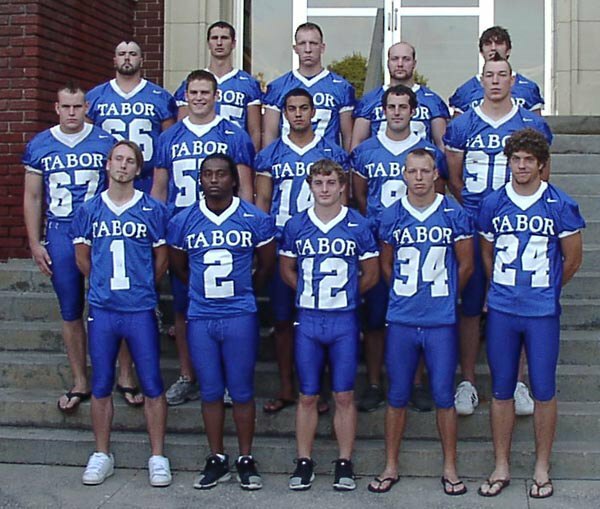 With the graduation of offensive standouts Caleb Marsh and Billy Hickman, kicker Derik Martinez, and defensive standouts Zach Peters, T.J. Jackson and Andy Bartell, only a few players remain on the 2008 Tabor College football roster that made the post-season trips Sioux Falls in 2004 and 2005. Tabor has not returned to the playoffs since then, but for the first time since those years the Bluejays will be coached by the same man in consecutive seasons. During his first full set of games at the college level in 2007, Mike Gottsch coached the Bluejays to a 1-9 record, the first and only win coming against Oklahoma Panhandle State during the third week of September. During his first full off-season, Gottsch assembled his first full recruiting class. Having these milestones, Gottsch and the Bluejays take aim at one first that has proved elusive so far: winning a conference game. ?We were one turnover away from winning three different games last year,? Gottsch said. ?We?ve got more guys out this year, which will give us more depth and better practice squads, and that will go a long way for us.? The Cougars finished second to Hope at the Eisenhower League volleyball tournament at Hope. Centre, the fourth seed, defeated fifth seed Flint Hills (25-17, 25-14) and sixth seed St. Xavier (25-9, 25-12) before losing to top seed Hope (23-25, 9-25). After a sixth consecutive conference championship season and the graduation of six top-flight seniors, the Tabor College volleyball program has much to do to stay at the top of the Kan?sas Collegiate Athletic Conference. Three weeks ago, the Tabor College football team was rated fifth in the Kansas Collegiate Athletic Conference by both media and coaches around the conference. Those results came on the heels of a tumultuous season during which the Bluejays collected a 5-4 record in conference play and went 6-4 overall. 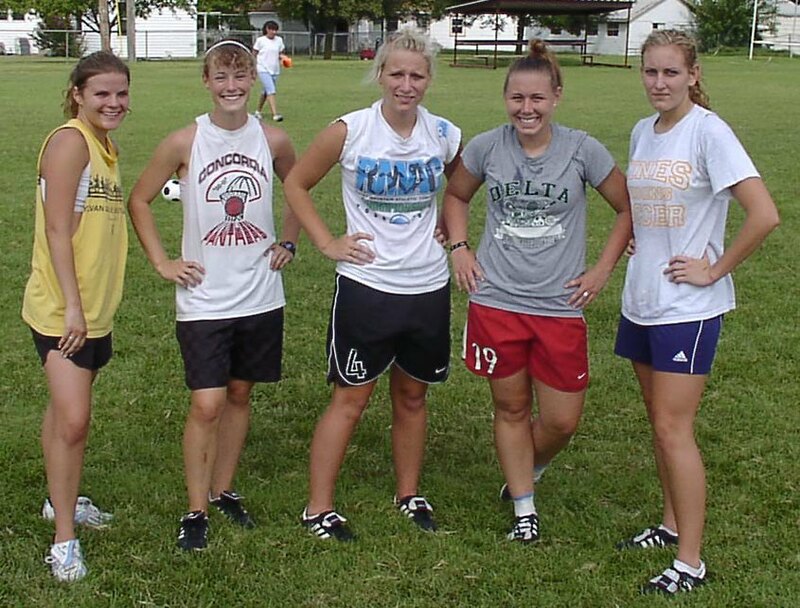 Tabor College cross country coach Karol Hunt enters the 2007 season with a deep and experienced group of runners on the women?s team. For the men, the top three runners return to a squad that is smaller in number but stronger in depth. 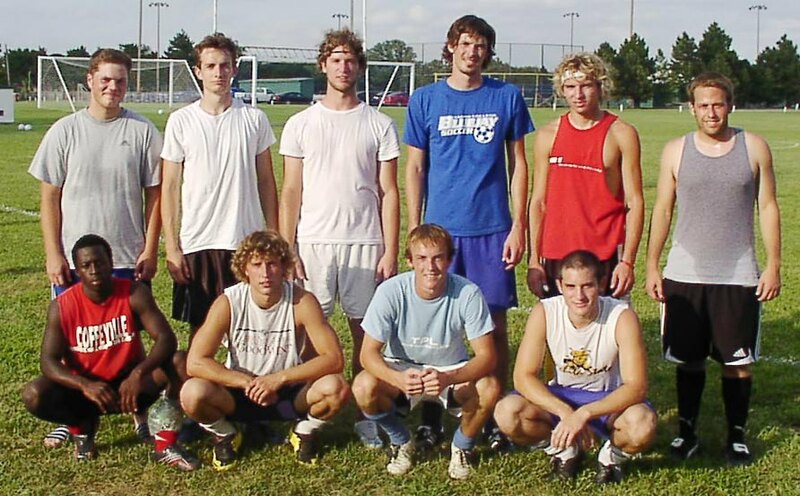 With a new head coach taking the helm, the Tabor College men?s soccer teams dropped to ninth place Kansas Collegiate Athletic Conference preseason coaches polls after finishing sixth in 2006 with a conference record of 4-5. Coach Grant Brubacher, former all-conference player for Tabor, said the slide does not reflect his team?s capabilities. In the Kansas Collegiate Athletic Conference preseason coaches poll, the Tabor College women?s soccer team was picked to finish in last place. For most small-town high school football coaches, having a talented quarterback move to town with a couple of years of eligibility left is a dream that rarely if ever comes true. But for Hillsboro High coach Len Coryea, it?s happened two years in a row. Last fall, Spencer Brown stepped in as a junior from Minneapolis High and led the Trojans to a 9-4 record and an unprecedented three victories in the state-playoffs. Followers of Hillsboro High volleyball can be forgiven for dwelling on key players lost from last season?s 35-3 squad that finished third in Class 3A. Graduating two NCAA Division I signees (JuliAnne Chisholm and Tina Frick) and a league honorable-mention setter (Jenny Whisen?hunt) would be a significant loss for any Class 3A program.